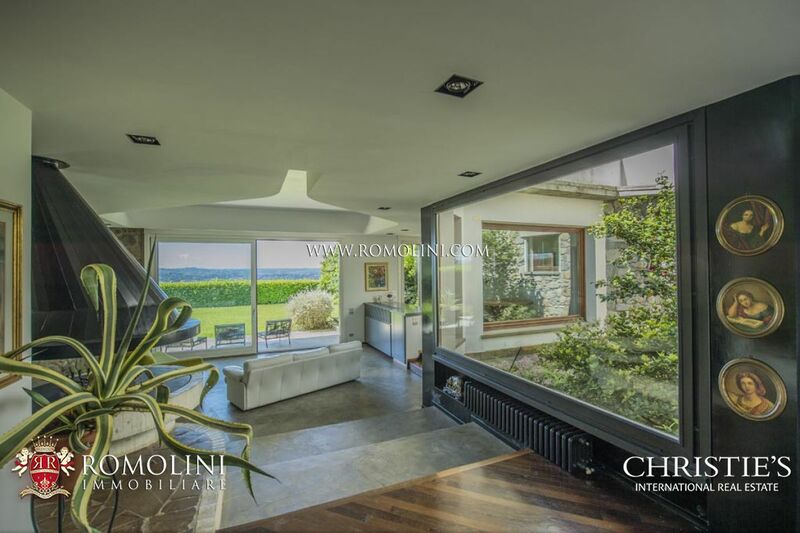 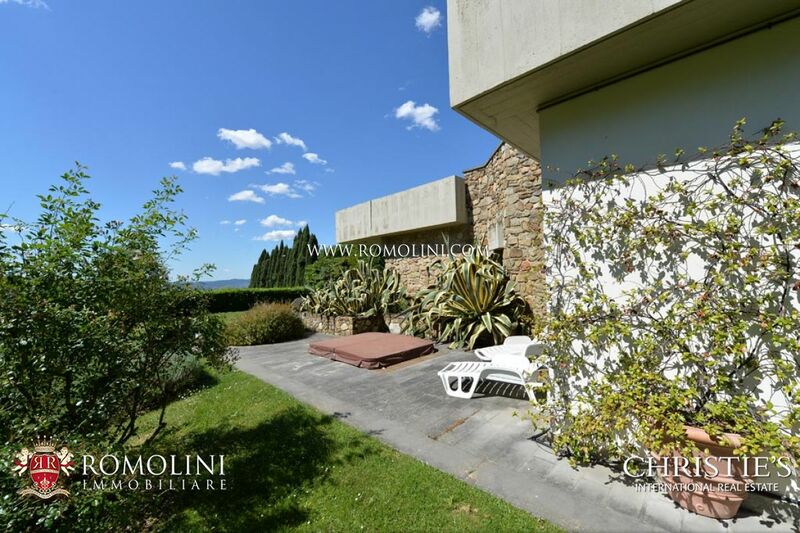 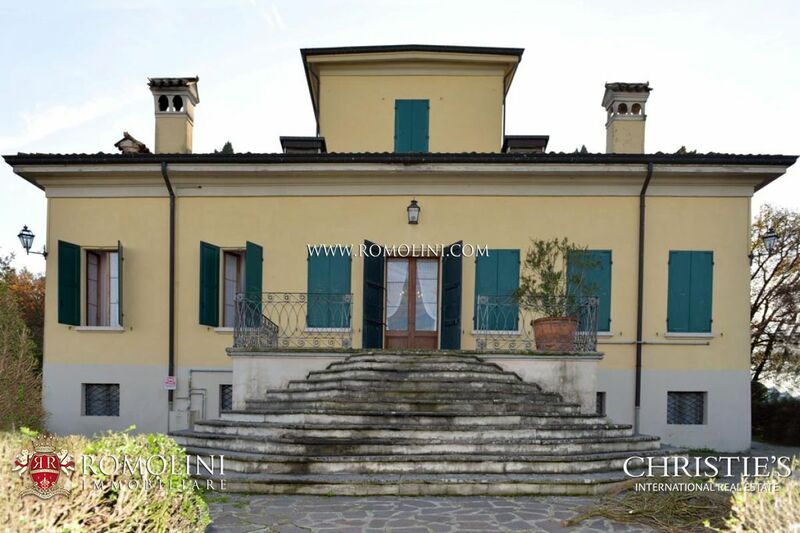 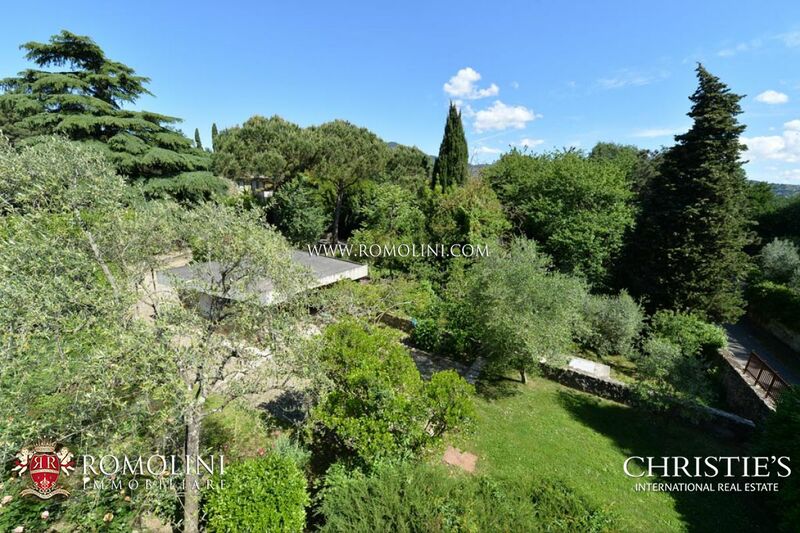 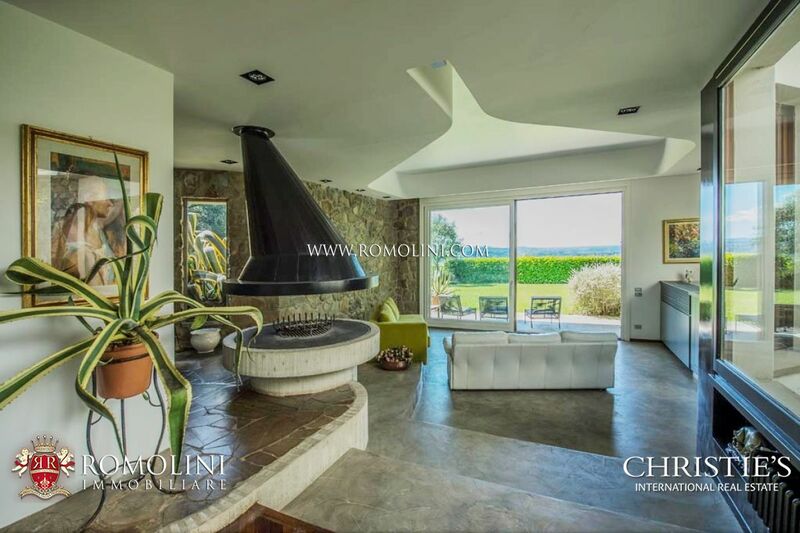 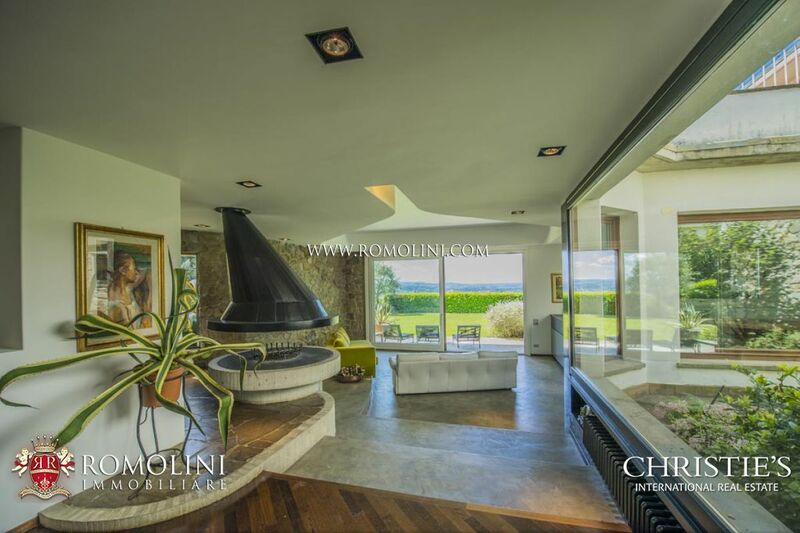 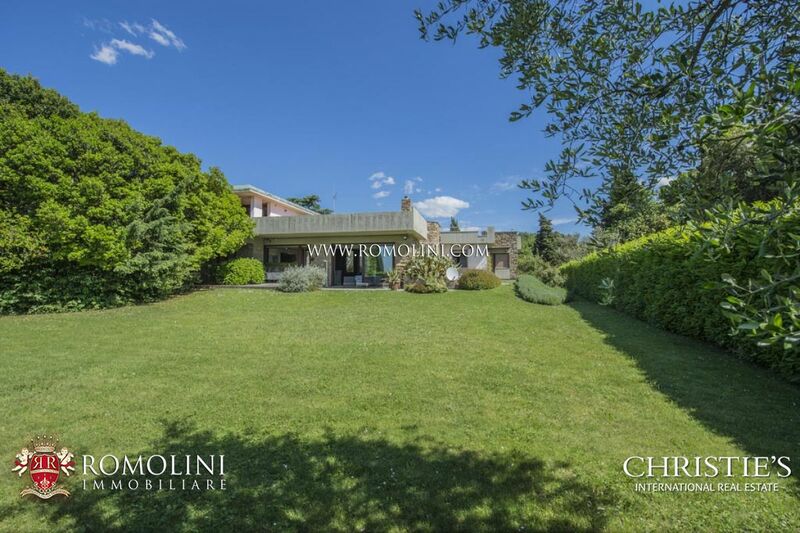 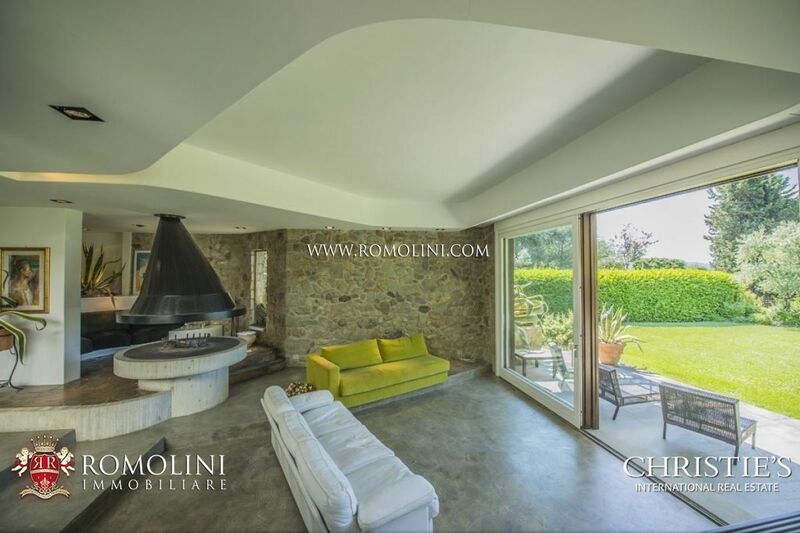 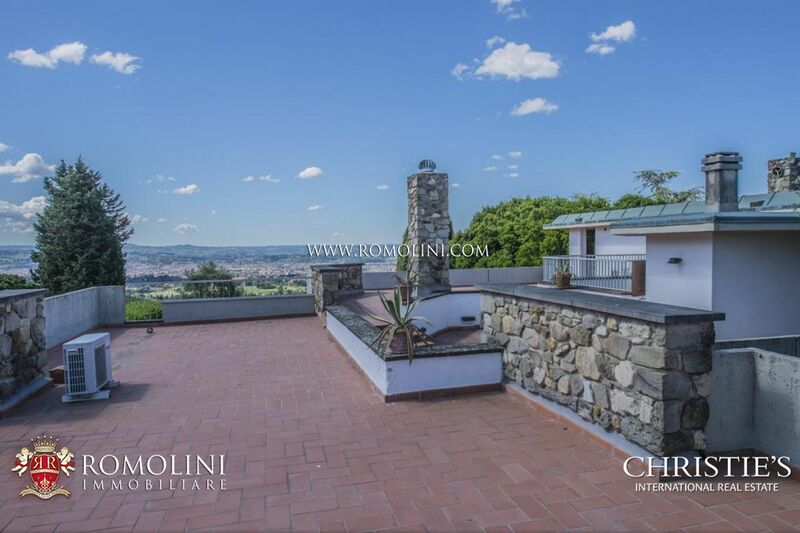 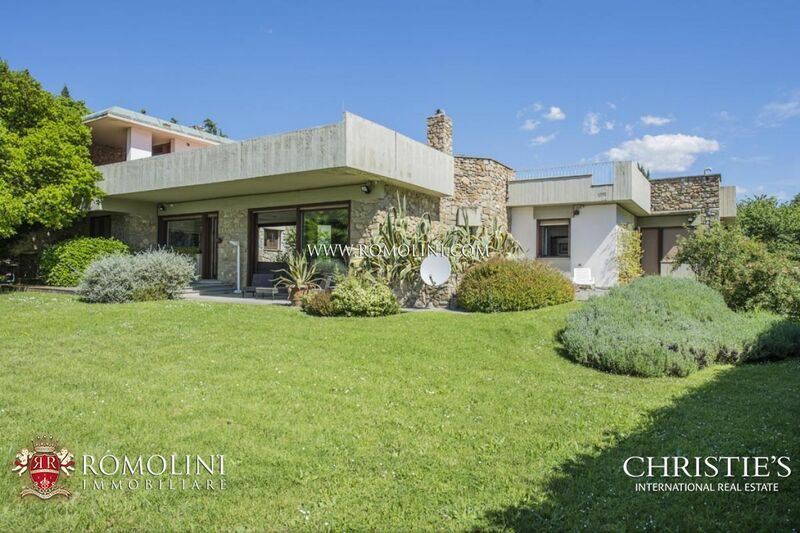 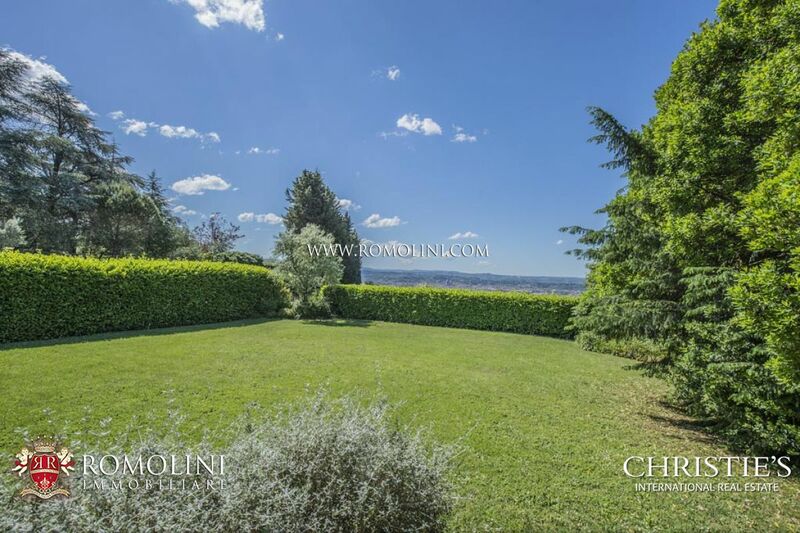 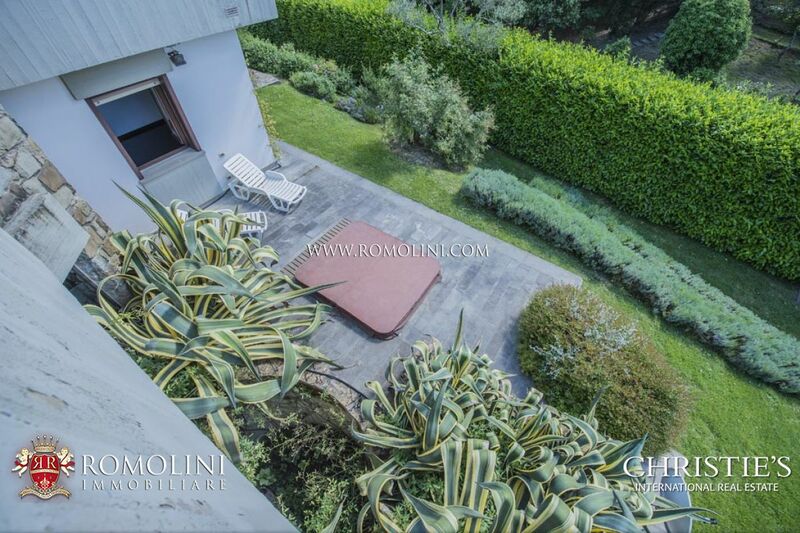 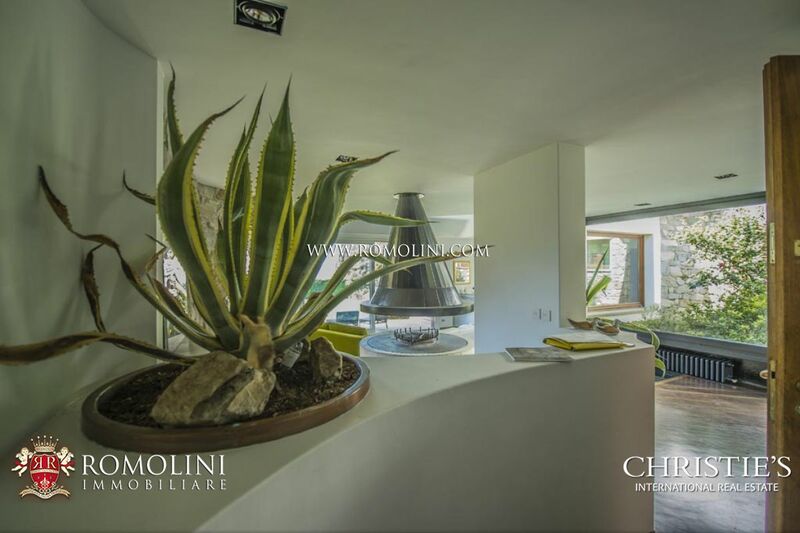 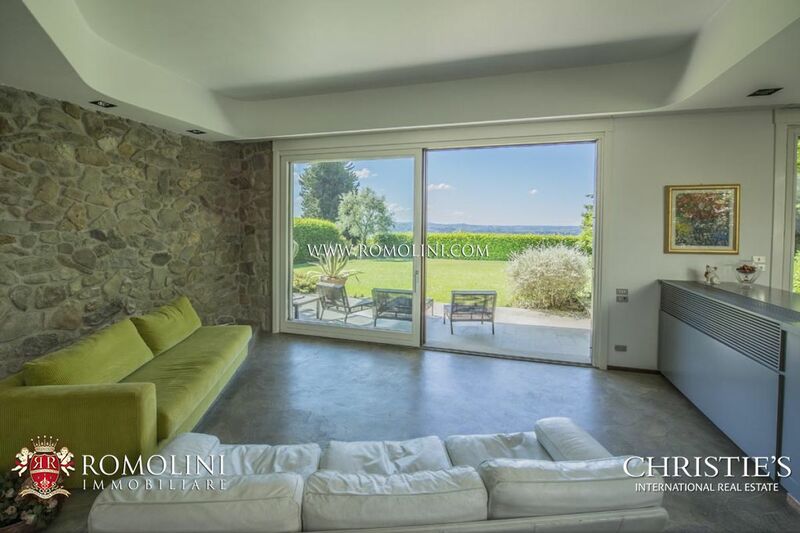 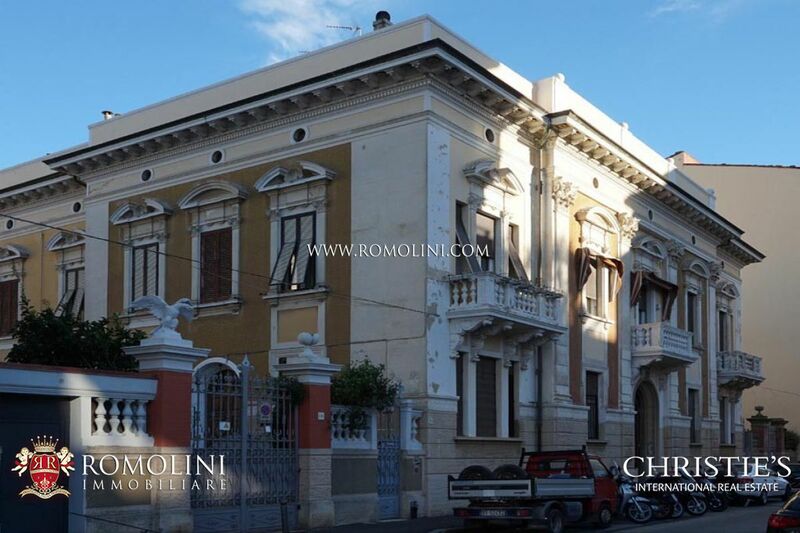 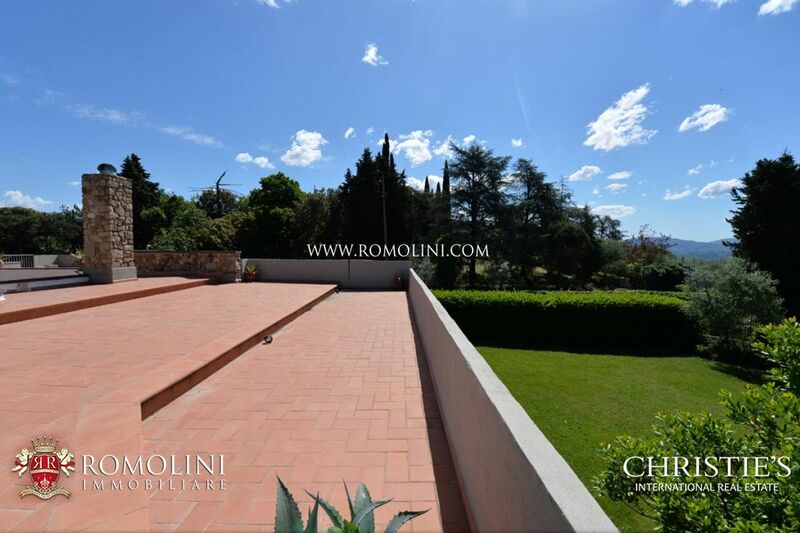 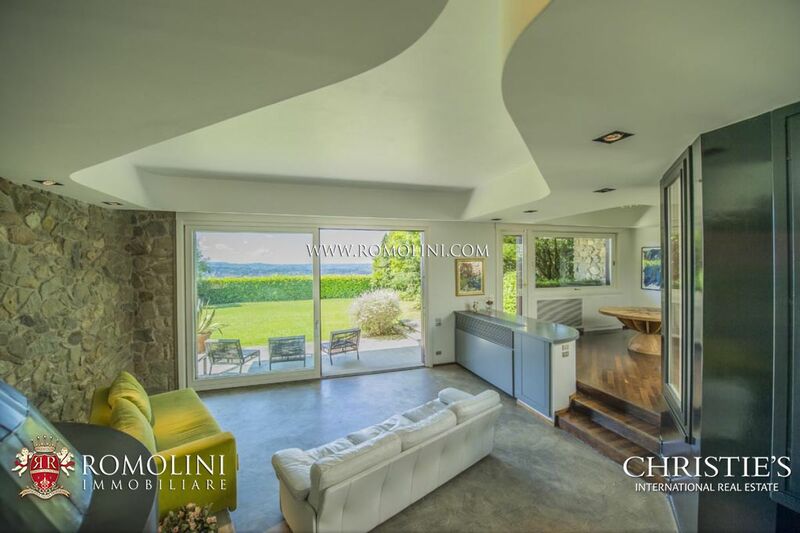 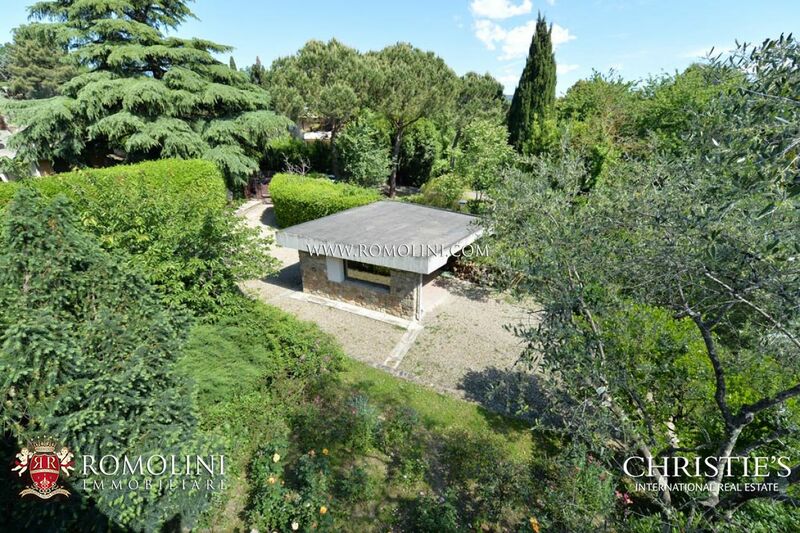 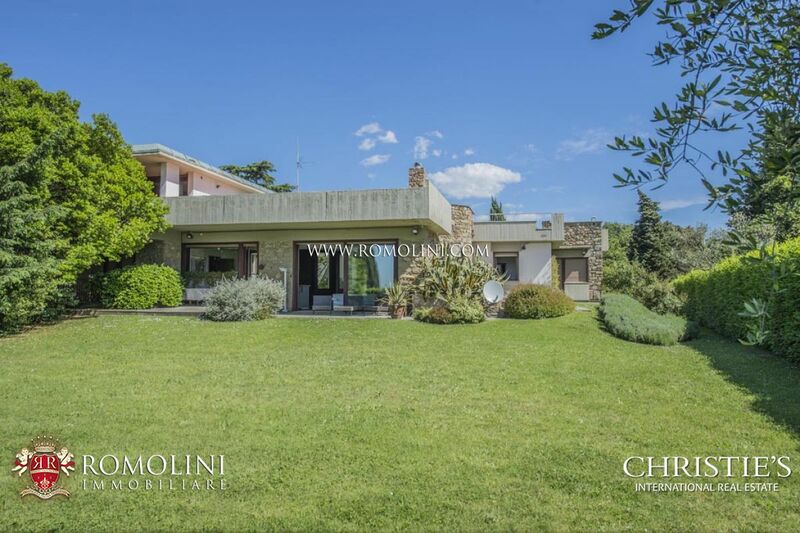 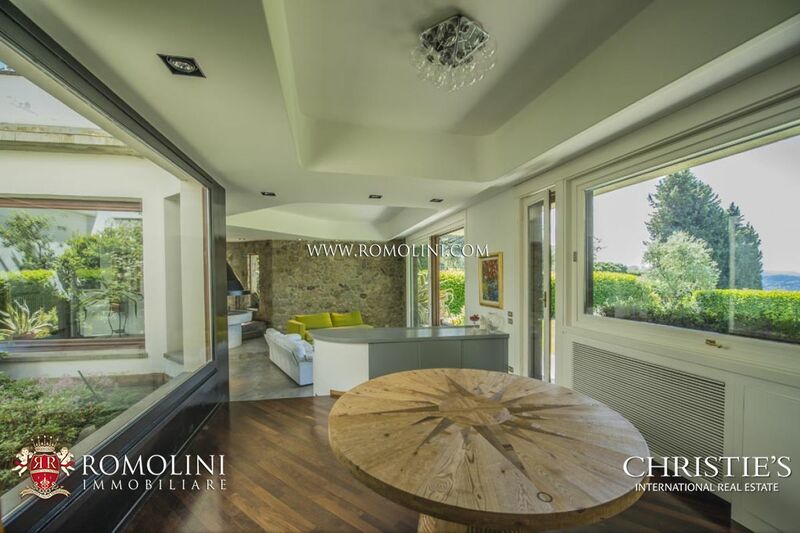 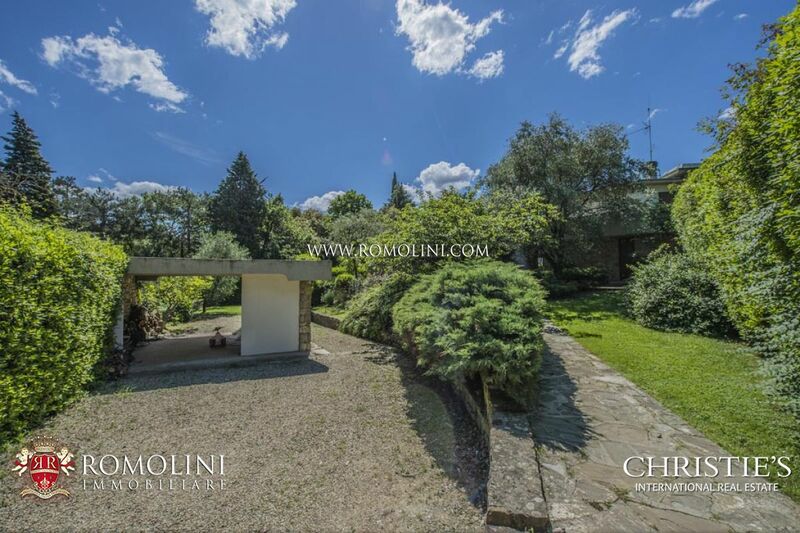 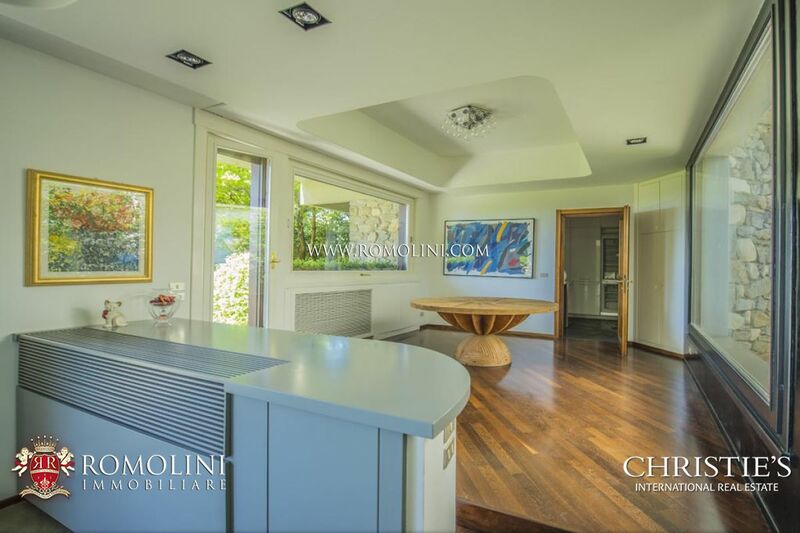 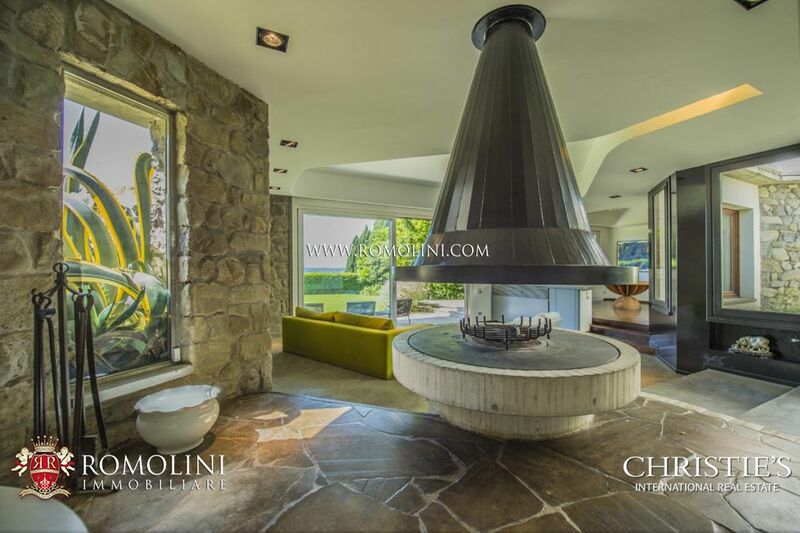 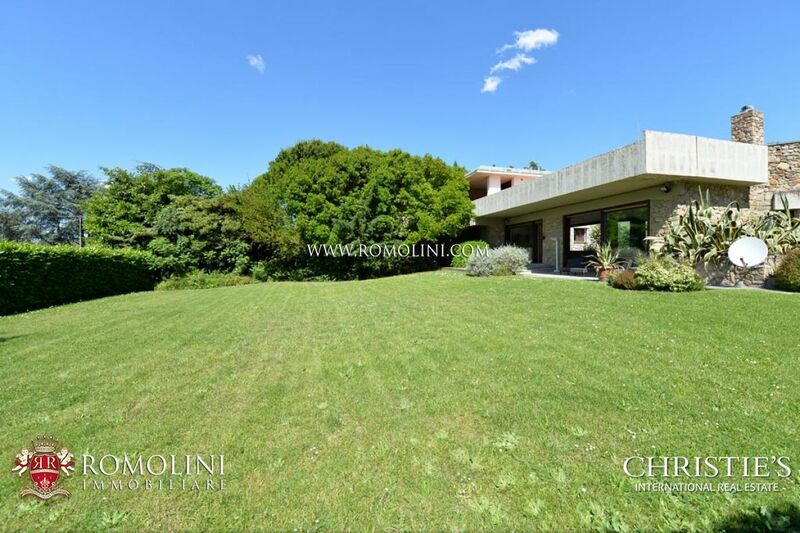 Only 7 km from the historical centre, on a beautiful hilly and panoramic position, villa with self-contained apartment and private park. 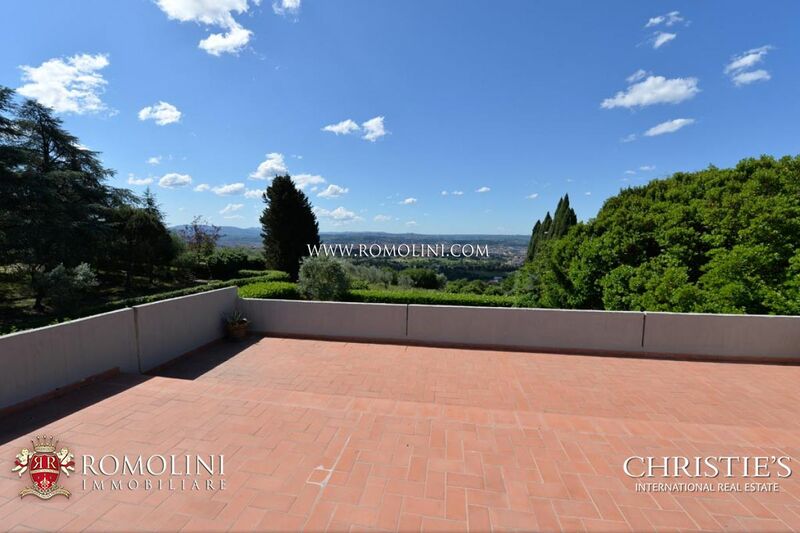 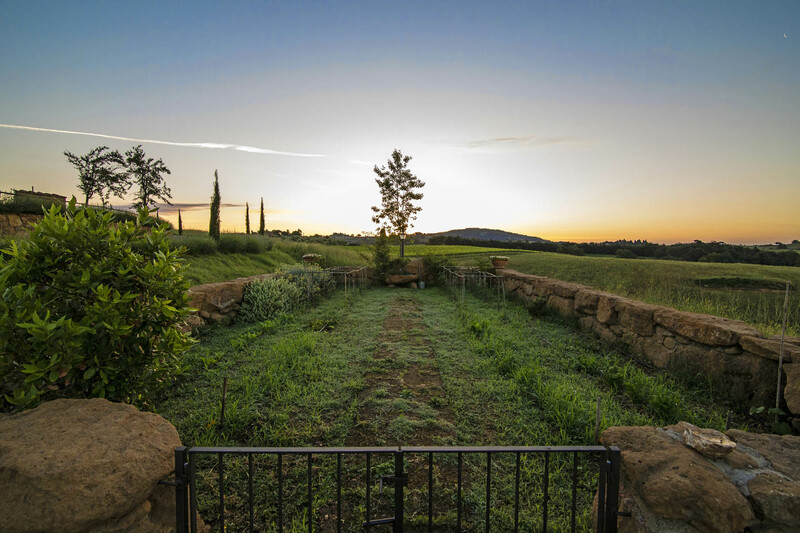 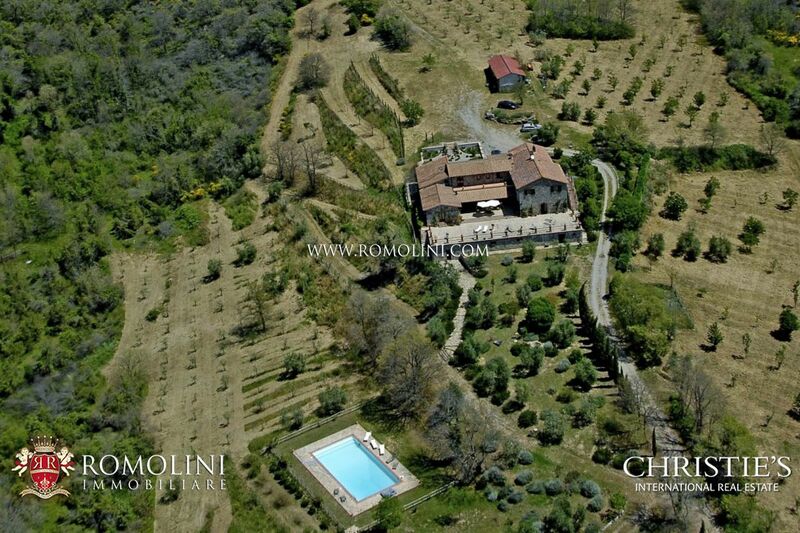 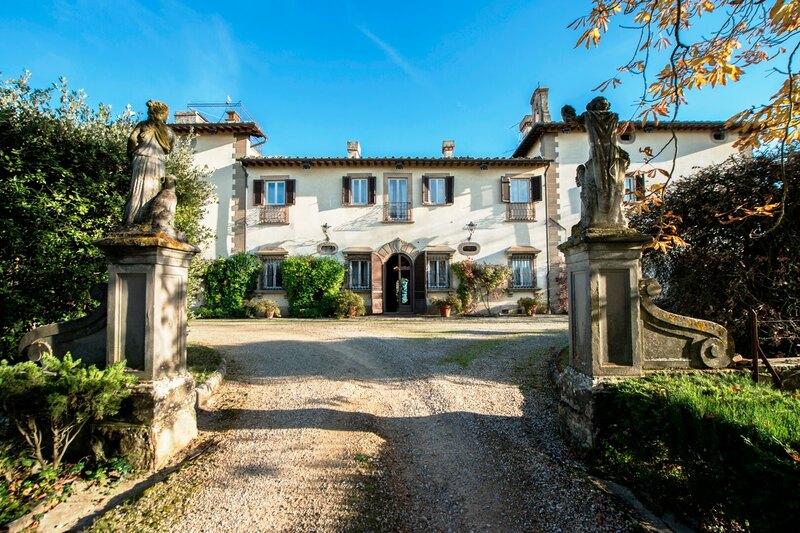 Easily reached, the property grants a quick access to several famous cities of Central Italy: San Gimignano (71km; 1h 20’), Lucca (74km; 56’), Siena (90km; 1h 5’), Pisa (97km; 1h 15’), Montepulciano (116 km; 1 h 40’), Pienza (123km, 1h 40’), Cortona (123km; 1h 45’), Montalcino (128km; 1h 50’) and Perugia (159km; 2h). 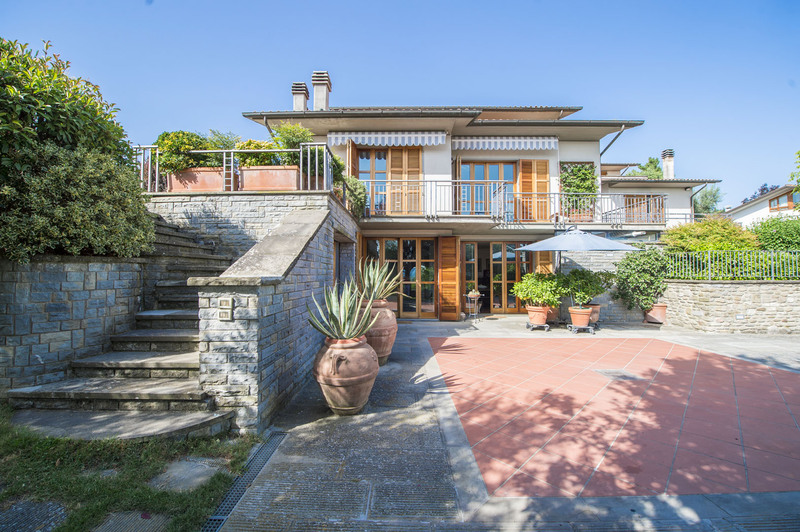 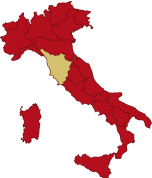 Useful airports to reach the property are Firenze Peretola (6km; 15’), Pisa Galilei (85km; 1 h), Bologna Marconi (104km; 1h 20’), Perugia Sant’Egidio (167km; 2h 5’), Roma Ciampino (294km; 3h 10’) and Roma Fiumicino (313km; 3 h 25’). 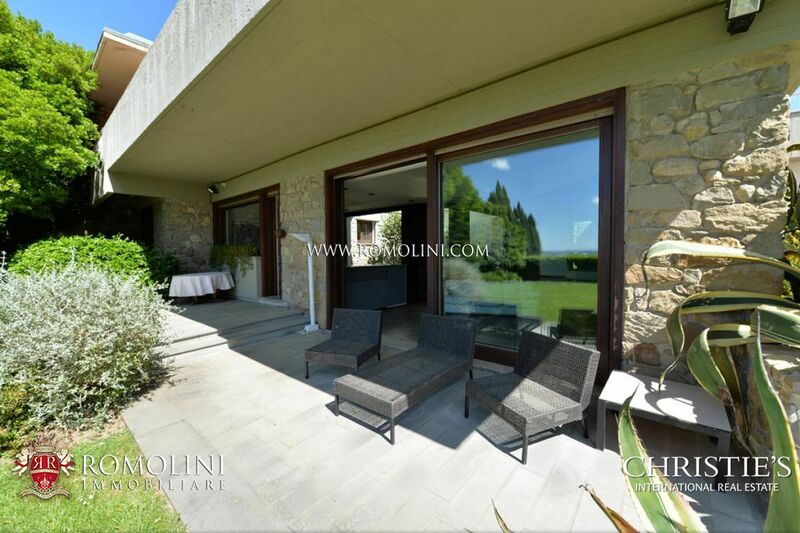 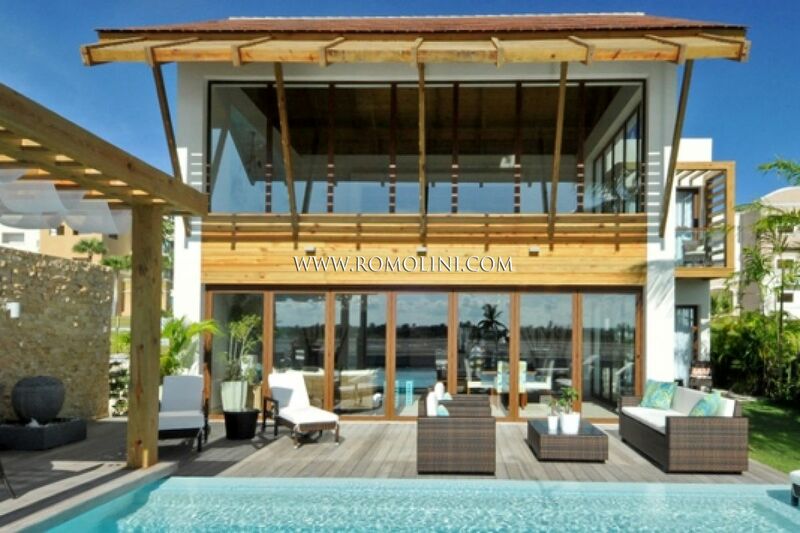 The villa (406 sqm – 4,369 sqft) is set on three levels and composed as follows. 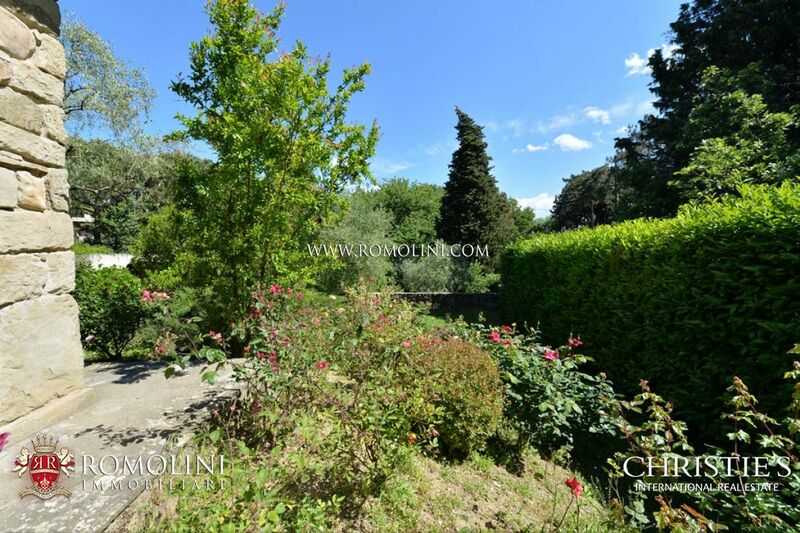 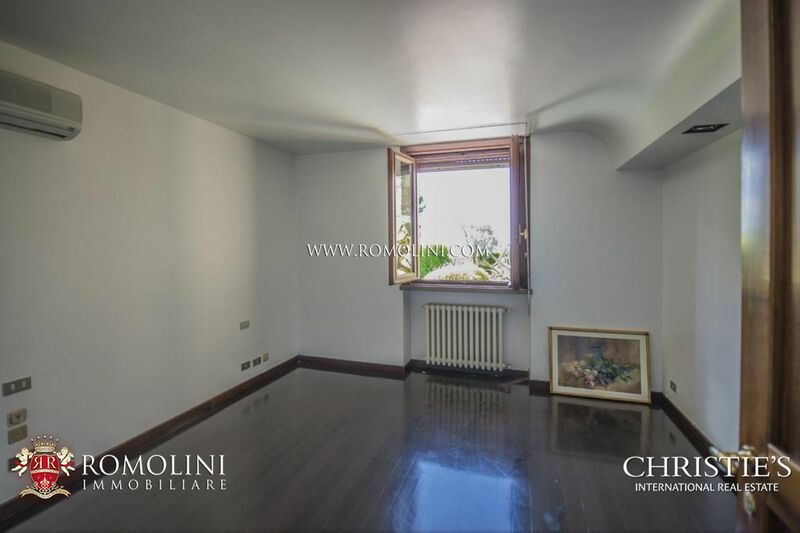 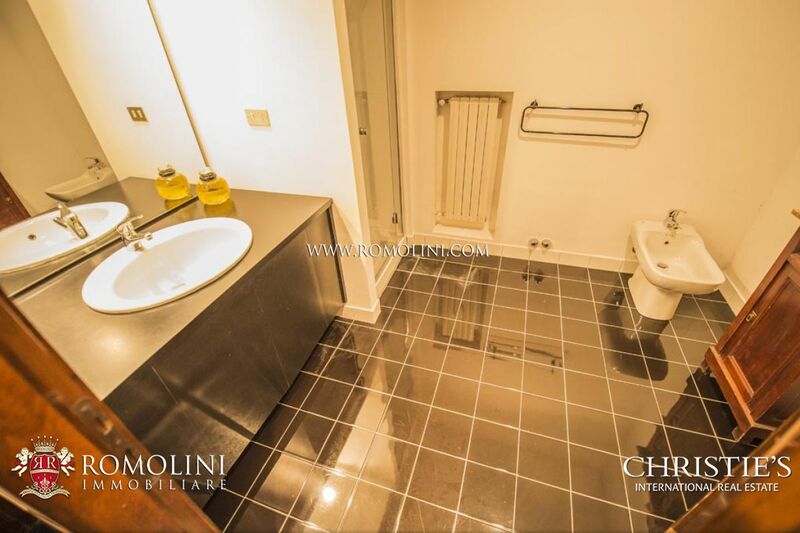 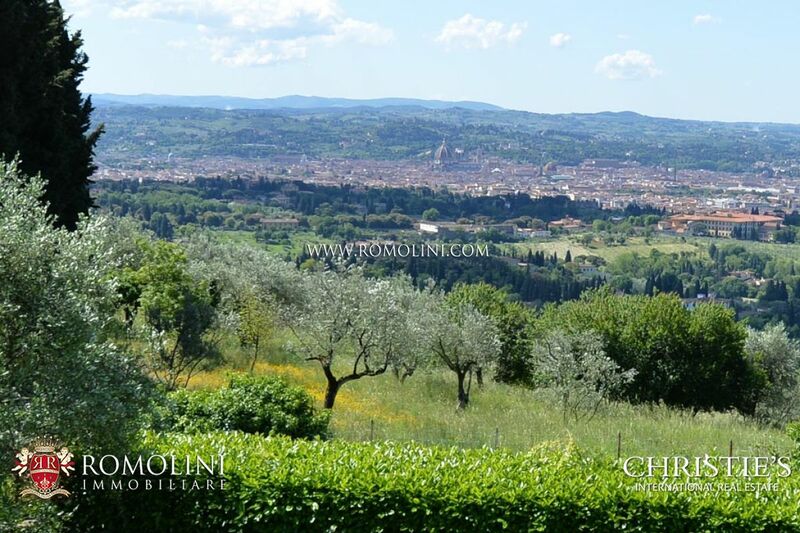 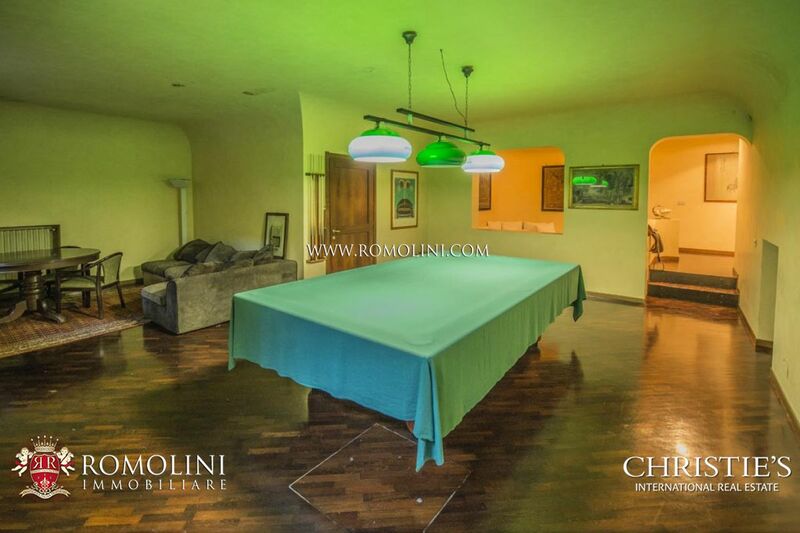 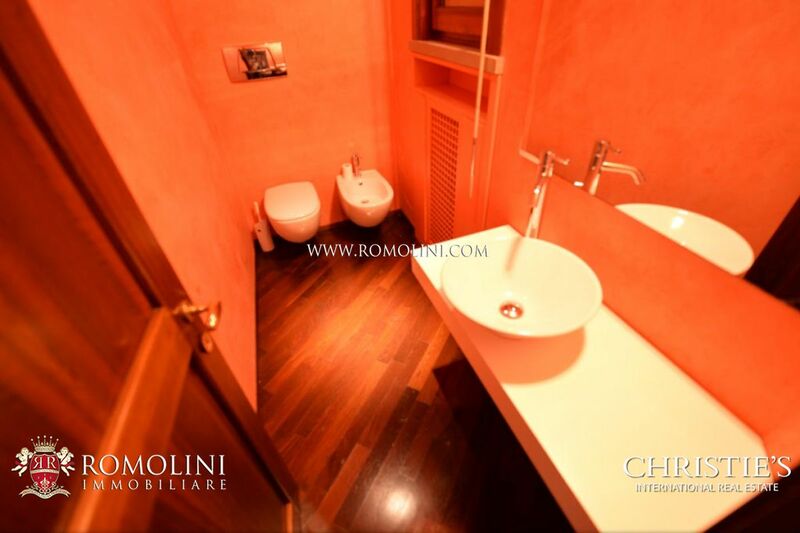 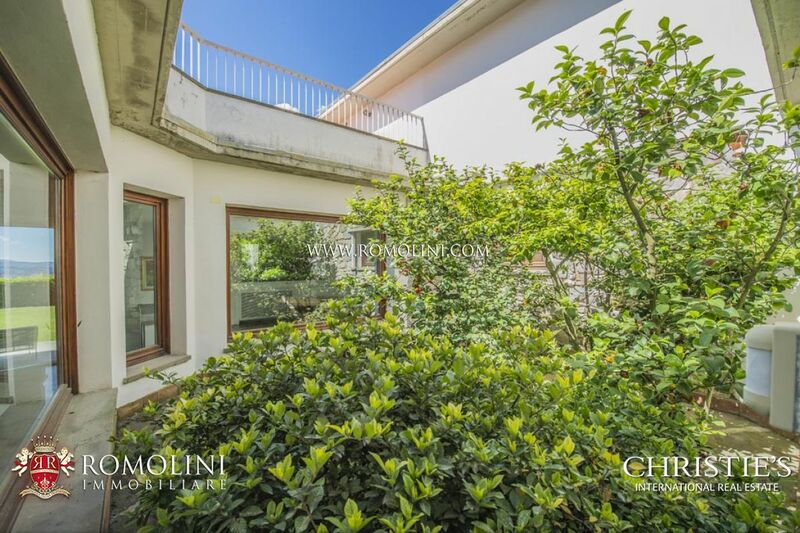 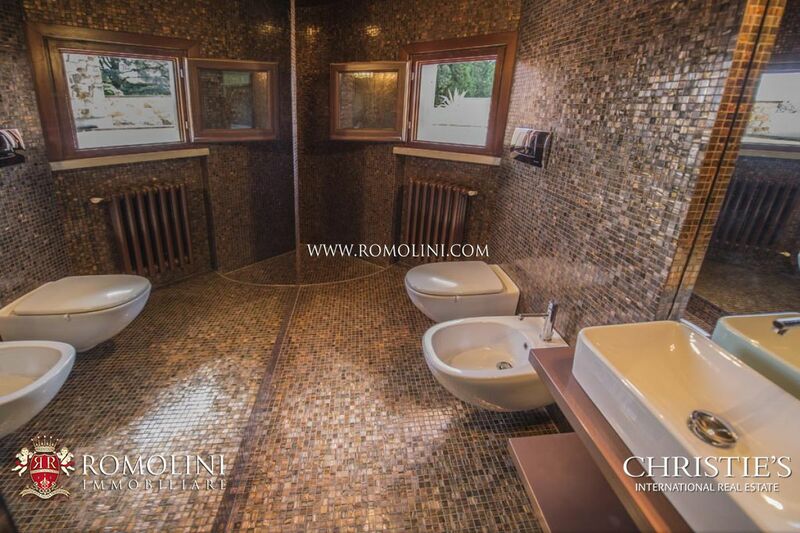 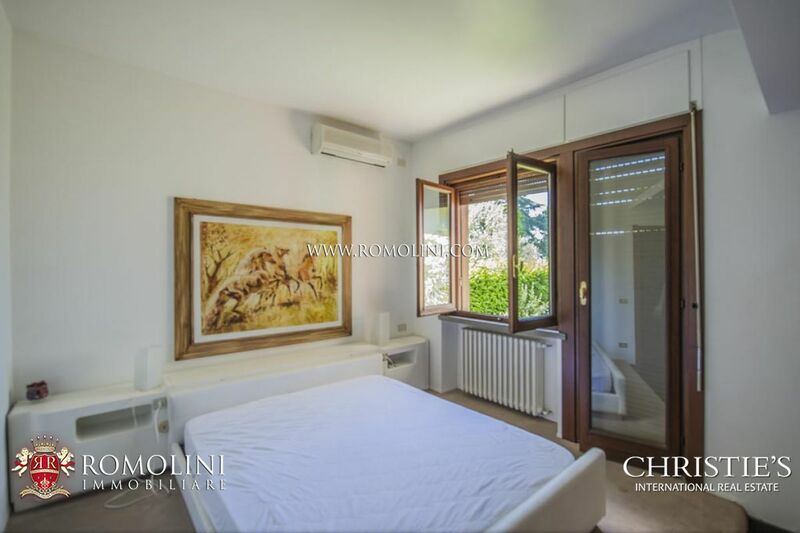 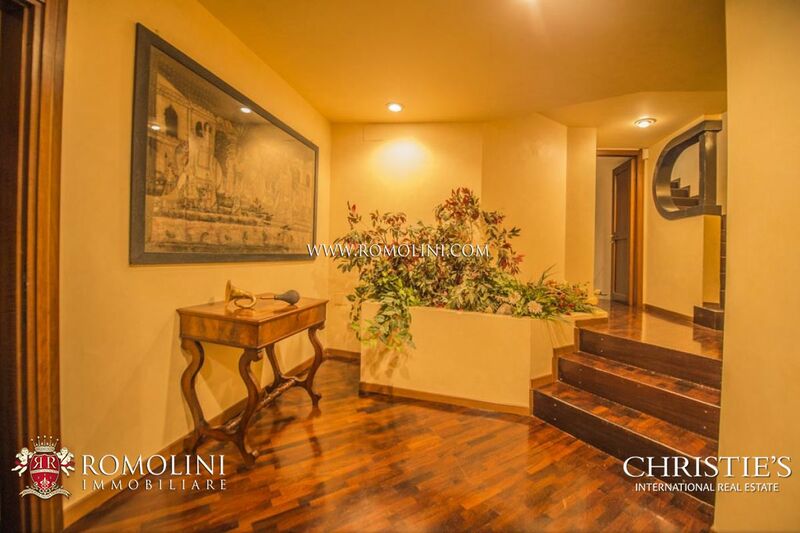 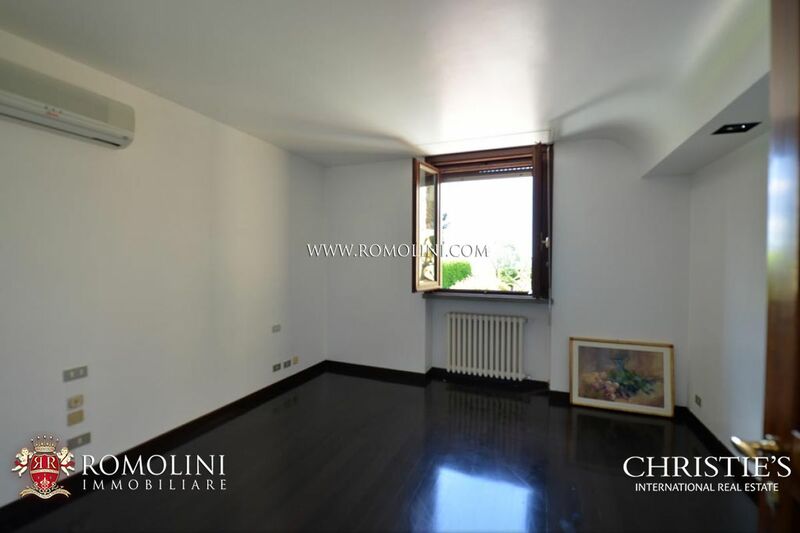 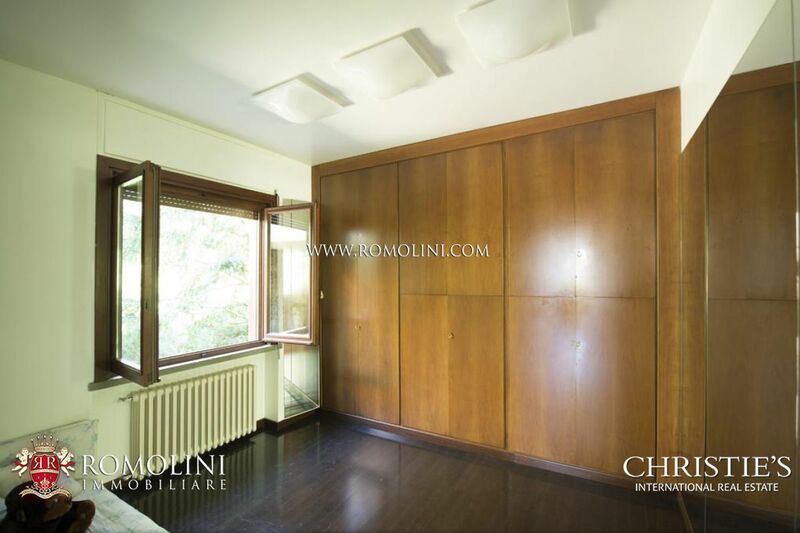 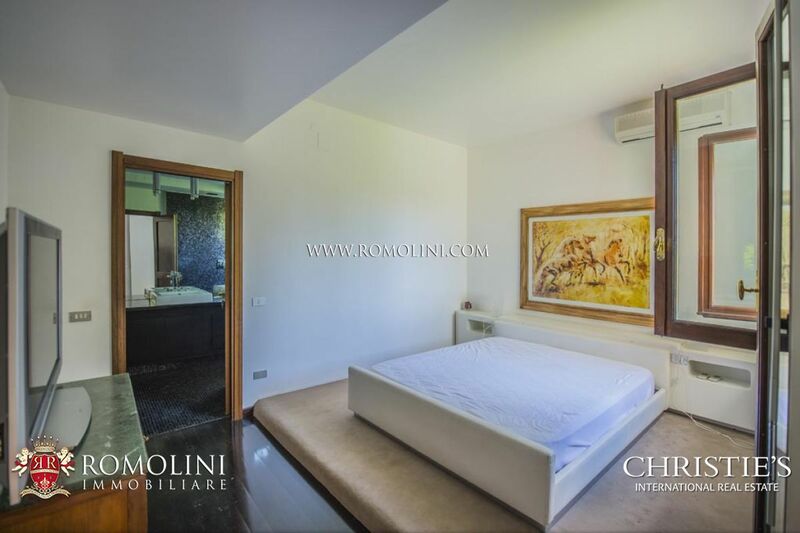 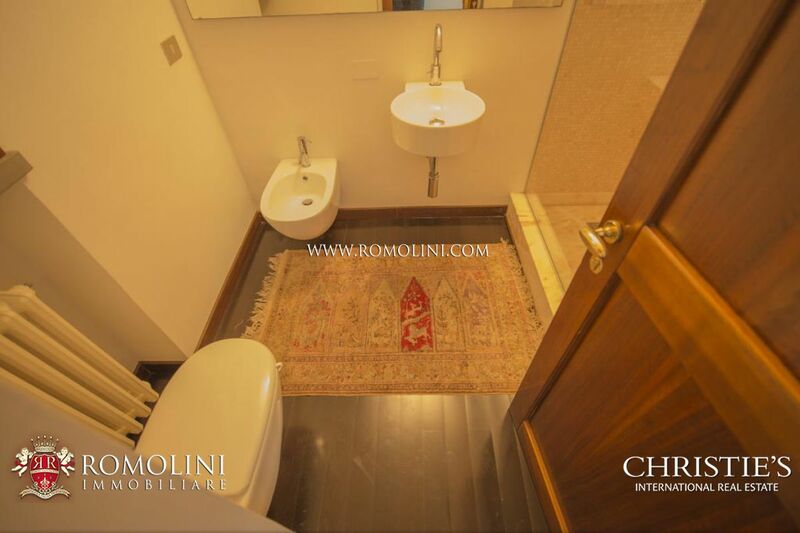 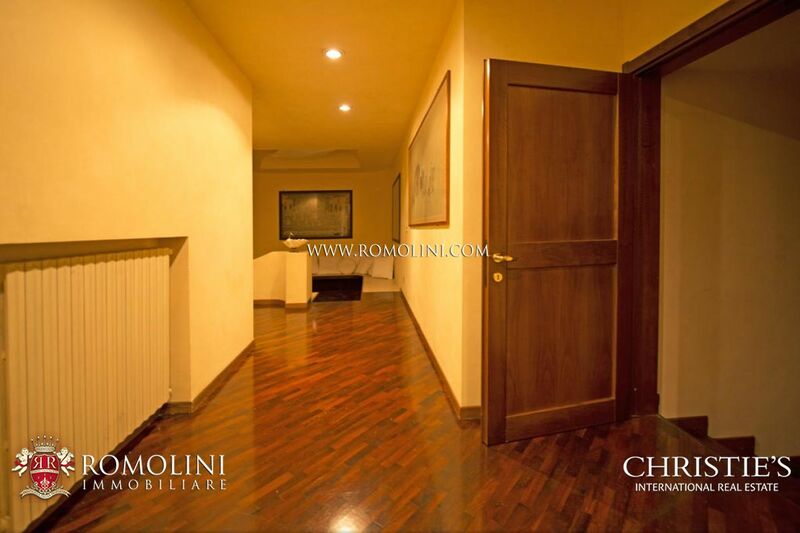 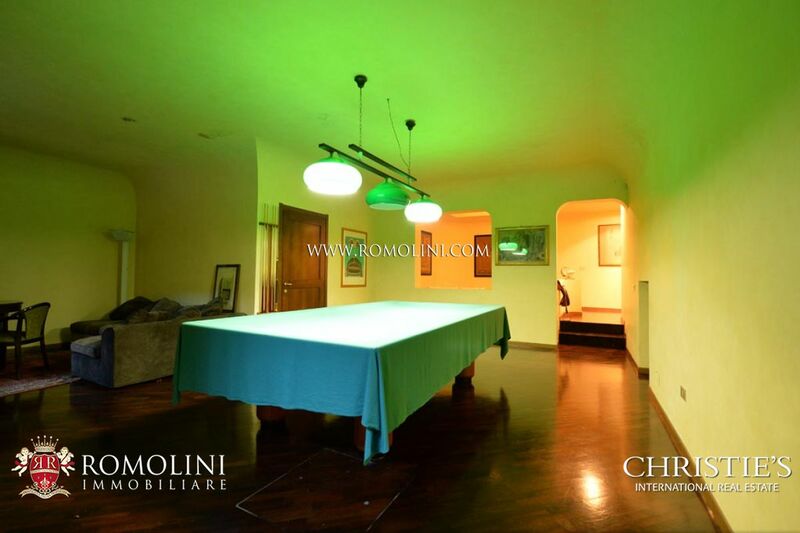 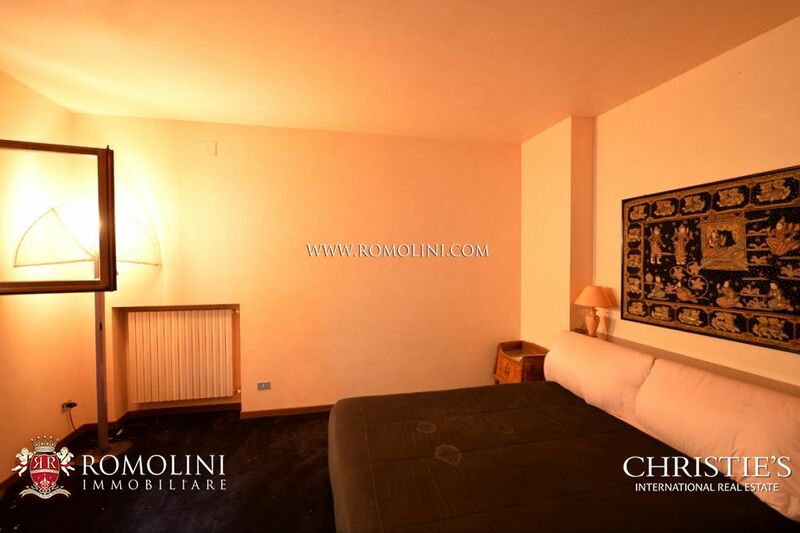 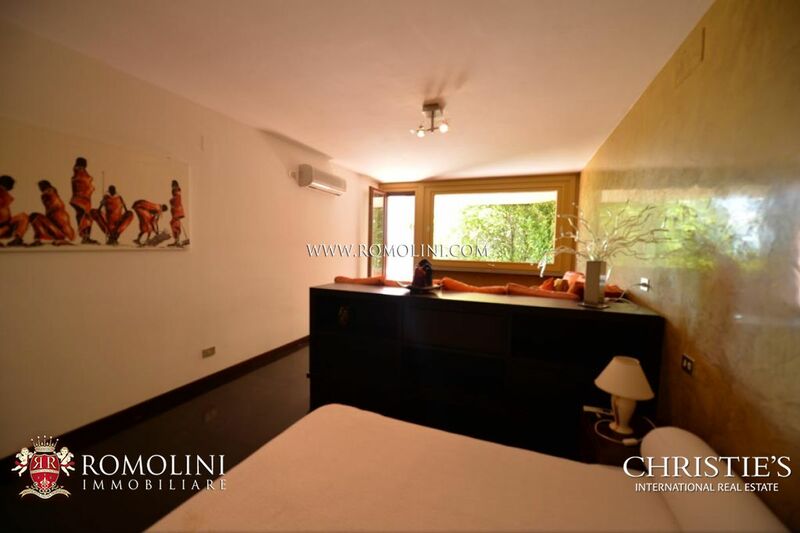 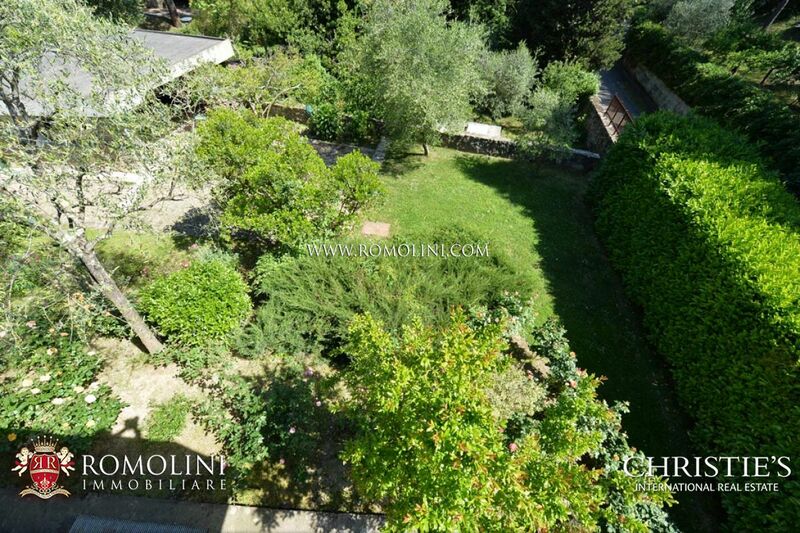 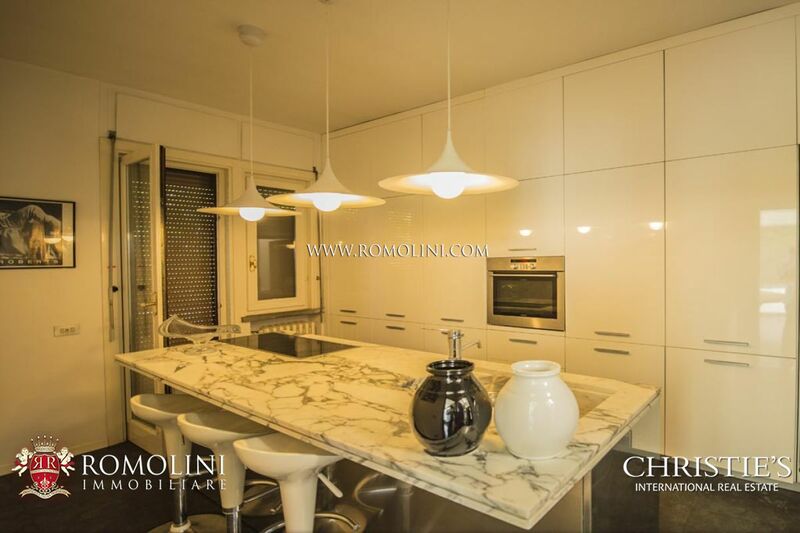 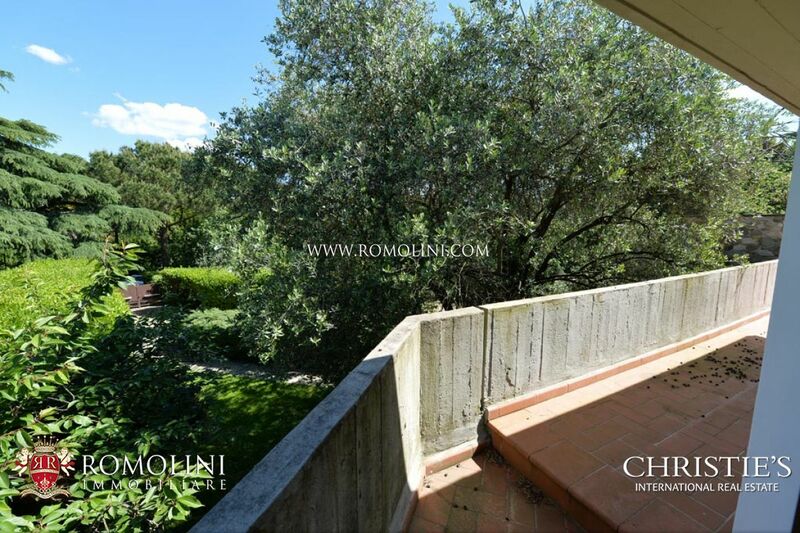 - First floor: room suitable either for an office and a bedroom, large solarium with breathtaking view on Florence. 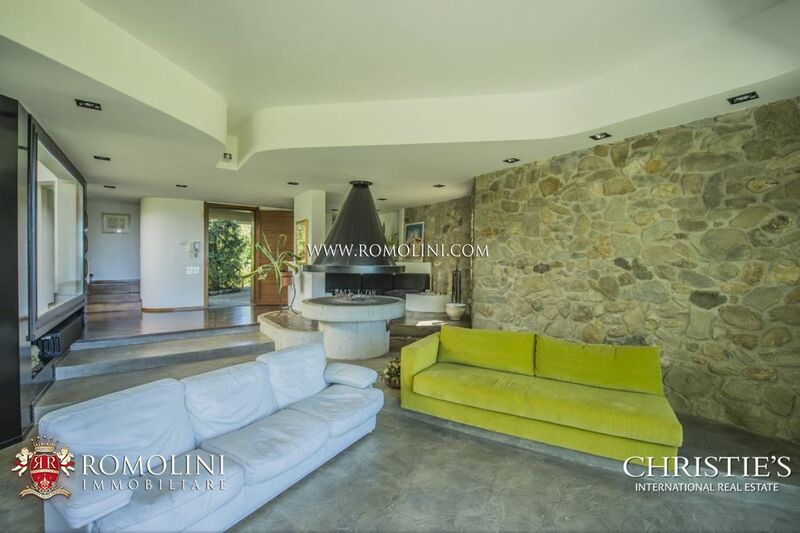 Not far from the villa there is the keeper’s house (80 sqm – 861 sqft), made up of an ample living room with sofa-bed, a kitchen and a bathroom. 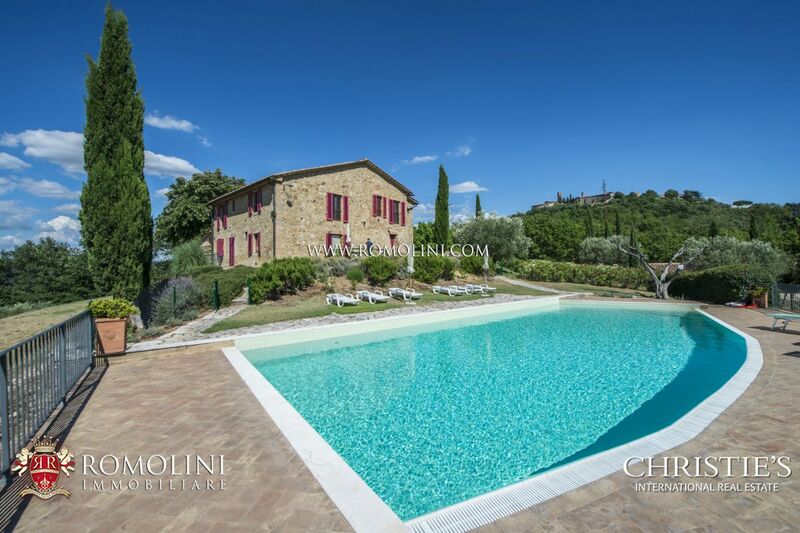 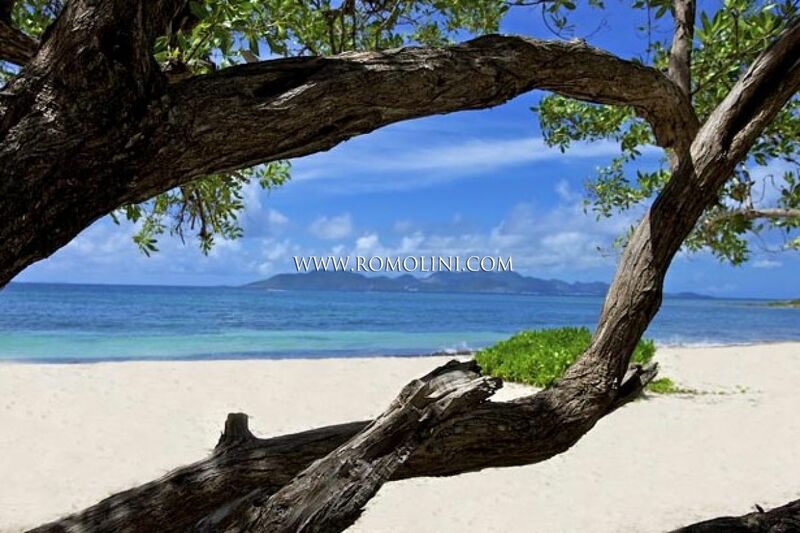 Built in the 1970s, the villa was completely and finely restored in 2005 and is nowadays in excellent conditions. 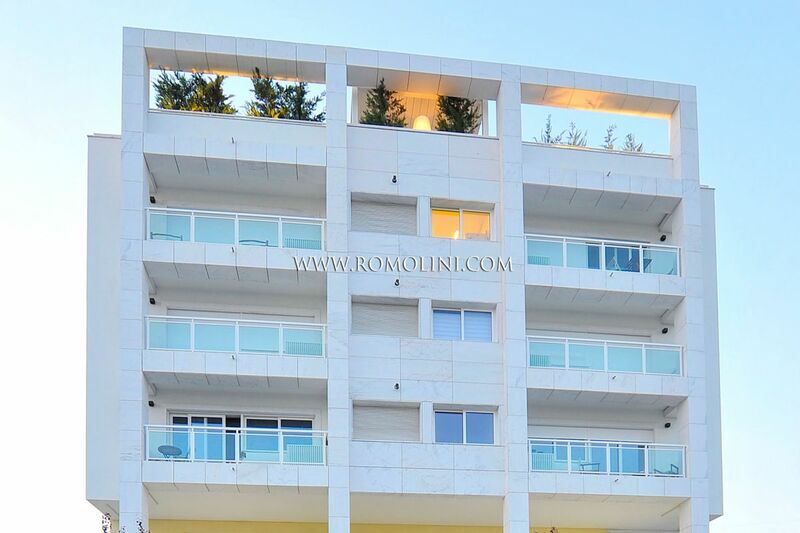 The building is fitted with ample windows, which allows a good deal of light to enter the building which is thus incredibly bright. 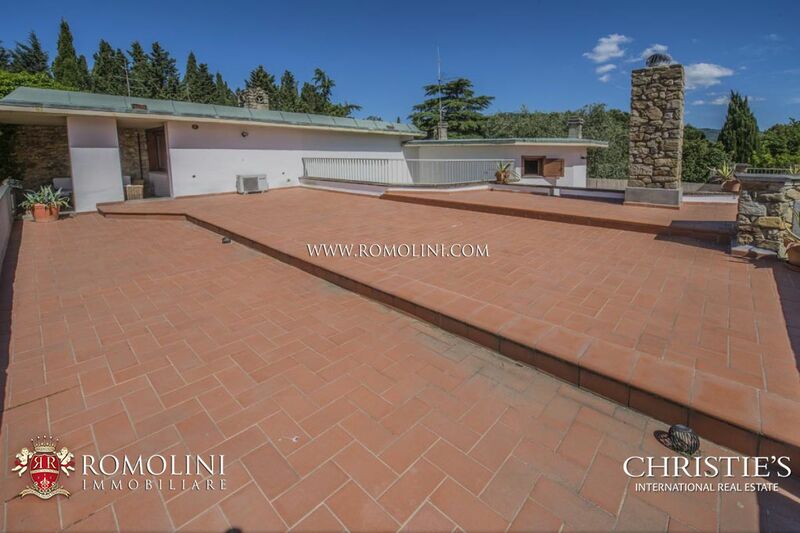 The ample terrace of the property (200 sqm) was restored and reworked in 2011. 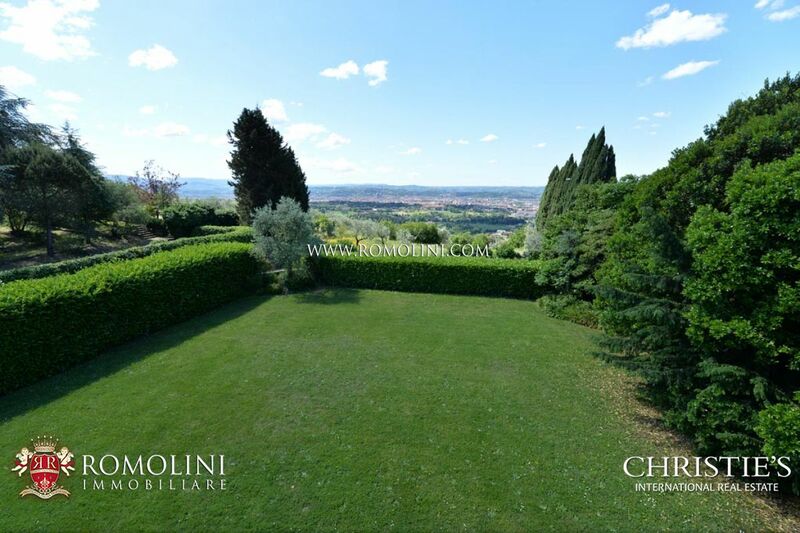 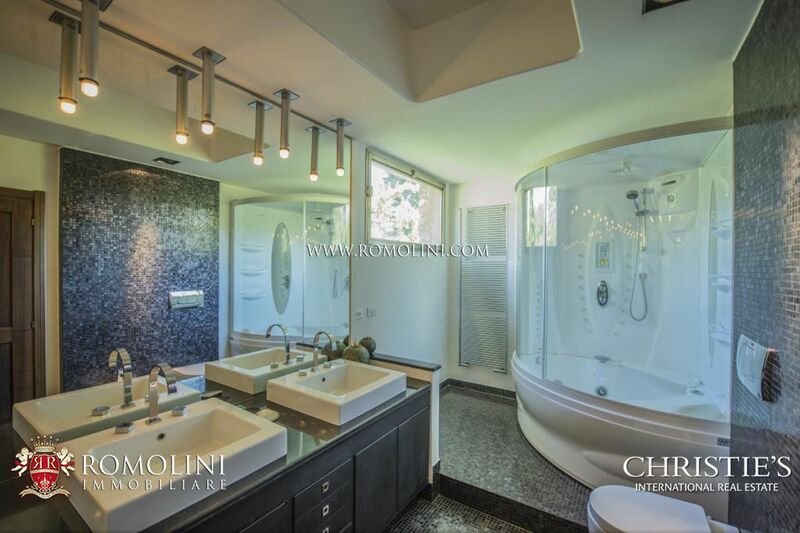 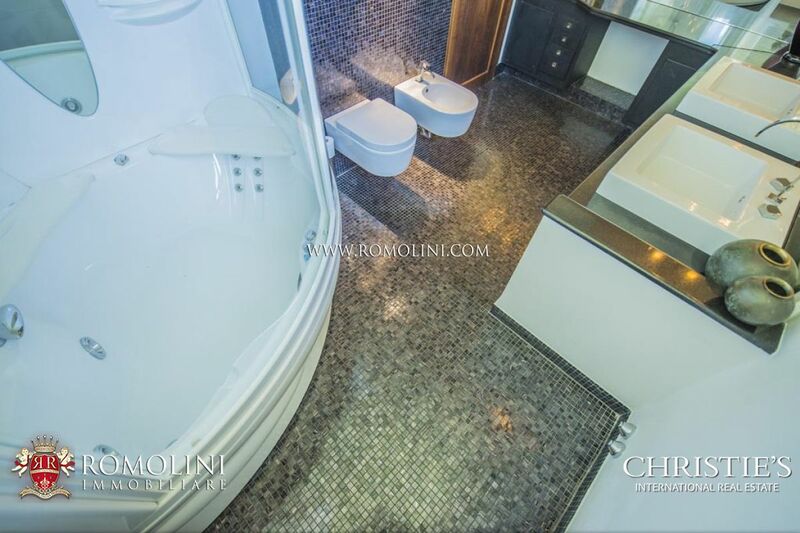 The property is further enriched by a 400 sqm garden where we can also find a beautiful Jacuzzi offering a wonderful vista over the Renaissance city of Florence. 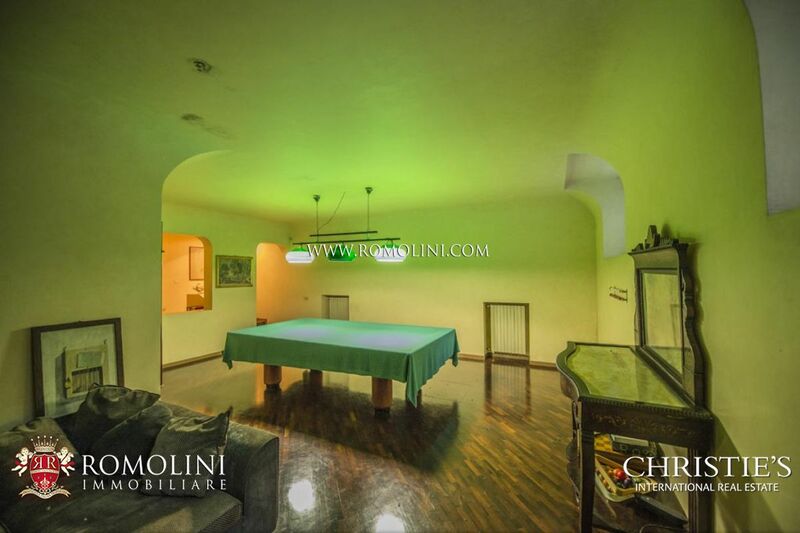 Finally, the property is fitted with a private garage.